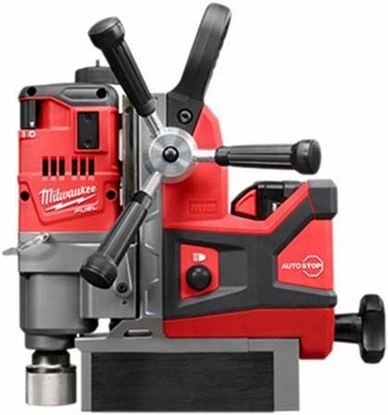 The M18 FUEL™ 1-1/2” Magnetic Drill drills faster than the number one corded competitor, delivers the strongest magnetic hold on 1/4” steel providing a safer drilling environment in this material, and drills up to (76) 13/16” holes per charge. The M18 FUEL™ 1-1/2” Magnetic Drill delivers safer drilling on ¼” steel by providing the industry’s strongest holding force on this material. By utilizing permanent magnets, the magnetic base operates without electricity; ensuring that the magnet does not deactivate if the battery is drained. Equipped with Auto-Stop lift-off detection, power to the motor is automatically cut if excess rotational motion is detected while drilling. 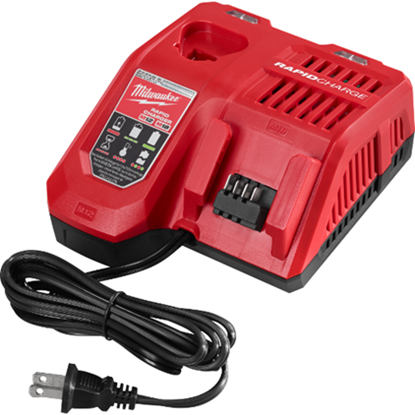 Powered by a Milwaukee POWERSTATE™ Brushless Motor, both drills are faster than their corded counterparts, and deliver the same 1-1/2” annular cutter capacity. REDLINK PLUS™ Intelligence is the most advanced electronic system on the market, preventing damage to the tool and battery caused by overloading or overheating. The M18™ REDLITHIUM™ HIGH DEMAND™ 9.0 Battery Pack delivers up to 5X more run time, 35% more power, and runs 60% cooler than standard 18V lithium-ion batteries. It maintains full power and runs substantially cooler through heavy applications, allowing users to push their cordless tools harder and longer than ever before. 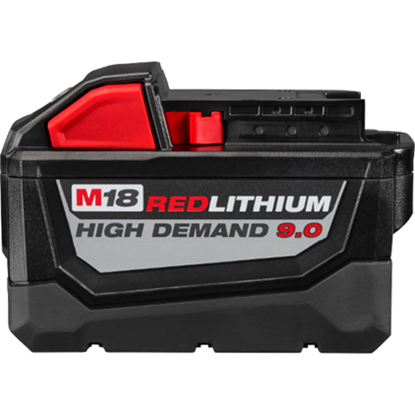 The M18™ REDLITHIUM™ HIGH DEMAND™ 9.0 battery is fully compatible with 100+ M18™ tools. 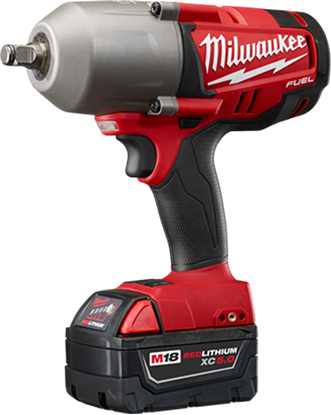 The M18 FUEL™ HOLE HAWG® 1/2" Right Angle Drill from Milwaukee drills faster than the original corded HOLE HAWG®, delivers over 150 7/8" Holes Per Charge, and is over 30% lighter weight than its corded predecessor. Optimized for electricians, the M18 FUEL™ HOLE HAWG® is the first cordless tool of its kind, delivering game-changing productivity for professionals drilling with augers up to 1-1/4" and self-feed bits up to 2".The POWERSTATE® brushless motor delivers better performance than corded drills, especially under heavy load. REDLINK PLUS™ Intelligence is the most advanced electronic system on the market, preventing damage to the tool and battery caused by overloading or overheating. The REDLITHIUM™ XC5.0 batteries provide up to 2.5X more run time and recharges than standard lithium, operate down to 0*F/-18*C. and have a battery fuel gauge to display the remaining charge. The M18 FUEL™ 3/4" High Torque Impact Wrench with Friction Ring Kit features the most powerful cordless wrench in its class, delivering up to 750 ft-lbs of maximum fastening torque, 1,200 ft-lbs of nut-busting torque and up to 2X more runtime. The POWERSTATE™ Brushless Motor outperforms competitors with constant power output, and the Milwaukee® designed impact mechanism delivers up to 750 ft-lbs of maximum fastening torque. The REDLITHIUM™ XC5.0 Extended Capacity Battery Pack delivers more work per charge and more work over pack life than any other battery. It features an onboard fuel gauge to help you monitor the charge more accurately, so there’s less downtime on the job. REDLINK PLUS™ Intelligence allows the operator to choose between 2 fastening modes with Milwaukee’s proprietary DRIVE CONTROL™ feature and ensures maximum performance and protection from overload, overheating and over-discharge. This 18-volt lithium-ion FUEL™ High-Torque Impact Wrench offers quick, tool-free socket changes with a 3/4" friction ring anvil. You’ll get ultimate comfort during extended use with the new contoured soft grip. The kit includes 2 REDLITHIUM™ XC 5.0 Extended Capacity Battery Packs, a multi-voltage charger and a carrying case. Charge On The Go. 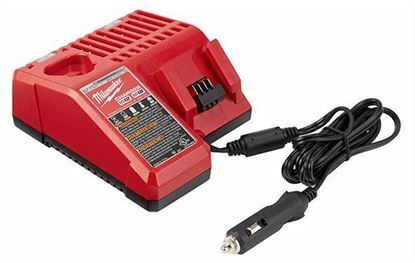 The M18™ & M12™ Vehicle Charger allows users to charge battery packs on the go from the DC Outlet of any vehicle. The charger provides full system compatibility and accepts all M18™ and M12™ batteries. Featuring REDLINK™ Intelligence, it communicates directly with the battery to monitor cell voltage, temperature, and charge status to optimize the performance and extend the life of the pack. As an added level of communication, the charger has protective electronics that automatically shut down the charger to prevent excessive discharge of the vehicle battery. 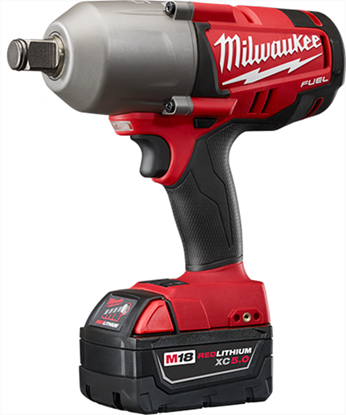 MILWAUKEE High Torque Impact Wrench The M18 FUEL™ 1/2" High Torque Impact Wrench with Friction Ring Kit features the most powerful cordless wrench in its class, delivering up to 700 ft-lbs of maximum fastening torque, 1,100 ft-lbs of nut-busting torque and up to 2X more runtime. The POWERSTATE™ Brushless Motor outperforms competitors with constant power output, and the Milwaukee® designed impact mechanism delivers up to 700 ft-lbs of maximum fastening torque. The REDLITHIUM™ XC5.0 Extended Capacity Battery Pack delivers more work per charge and more work over pack life than any other battery. It features an onboard fuel gauge to help you monitor the charge more accurately, so there’s less downtime on the job. 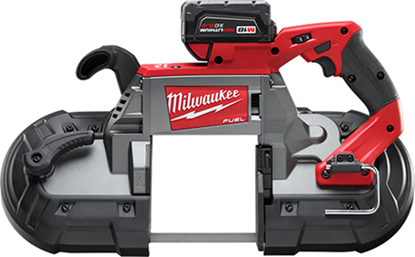 REDLINK PLUS™ Intelligence allows the operator to choose between 2 fastening modes with Milwaukee’s proprietary DRIVE CONTROL™ feature and ensures maximum performance and protection from overload, overheating and over-discharge. This 18-volt lithium-ion FUEL™ High-Torque Impact Wrench offers quick, tool-free socket changes with a 1/2" friction ring anvil. You’ll get ultimate comfort during extended use with the new contoured soft grip. The kit includes 2 REDLITHIUM™ XC5.0 Extended Capacity Battery Packs, a multi-voltage charger and a carrying case.